Every homeowner has a dream-worthy kitchen remodeling project in mind. Yet, when the day finally arrives to tackle the project, it may seem like a Herculean task. This is why we’ve compiled the essential do’s and don’ts of a successful remodeling venture. Our tips will help you design a space that is both functional and attractive for years to come. When planning a kitchen remodel, we usually think of something out of a catalog. We want the usual features of a custom kitchen remodeling design. There’s nothing wrong with this idea, but it isn’t your only option. Rather, consider how your family will actually use the kitchen. For example, if your kids do their homework there, include a desk in the design. If you entertain often, a long dining table will accommodate guests. Make your personal needs a part of your design plan. The average remodel isn’t cheap, so be prudent in spending your money. Make two lists: a must-have list and a wish list. Doing so will give you a clearer idea of where to invest and where to try to save. There are many things you can do to save. Reface cabinets rather than replace them. Buy your appliance package from a wholesale supplier. Replacing drawer pulls and fixtures is often enough to give the room a fresh look. The layout is a crucial element of a kitchen remodel, yet it’s the most overlooked. What good is your new refrigerator if you can only open it halfway because your countertop interferes with its operation? Make sure your new space functions the way it’s supposed to. Hire home additions services to draw up a working layout. Preview the layout before committing to any purchases. Include extra space for walkways. Kitchens tend to be one of the most overstuffed spaces in a home. Homeowners often don’t have enough space to store what they need. Include storage options that are both functional and stylish. Include a cabinet for pots and pans next to the stove. Make room for a pantry that will allow easy access to after-school snacks. 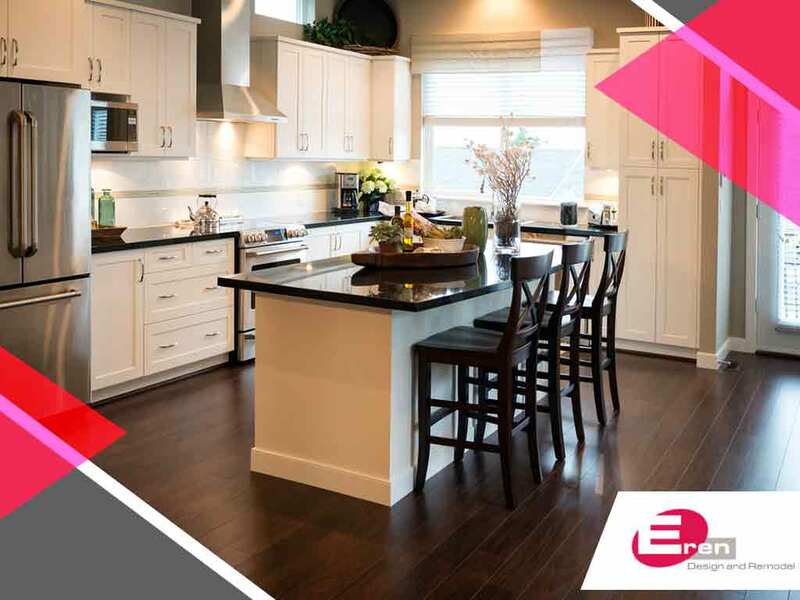 At Eren Design and Remodel, your kitchen remodeling services expert, we understand that each remodel is unique. Schedule your first appointment by calling (520) 885-2500. You will always get exceptional service and craftsmanship with us in Marana, AZ.